The following article is the first in CIMSEC’s first regular column: The Red Queen’s Navy. Written by Vidya Sagar Reddy, The Red Queen’s Navy will discuss the influence of emerging naval platforms and technologies in the geostrategic contours of the Indo-Pacific region. The column will also identify relevant historical precedents, forming the basis for various maritime development and security related projects in the region. “Now, here, you see, it takes all the running you can do, to keep in the same place.”- The Red Queen, Through the Looking Glass, Lexi’s Carroll. In 2012, China overwhelmed Philippine forces in a two month long conflict, resulting in China’s defacto control of Scarborough Shoal, located barely 140 miles off Manila. The Philippines filed a case against China before the UN’s Permanent Court of Arbitration, challenging 15 claims from China’s so-called nine-dash line to Scarborough Shoal. The tribunal is likely to find China’s activities around the Shoal illegal. In spite of this, China has refuted the authority of the arbitration tribunal to rule on these claims. It is reported that China is now considering construction of outposts on Scarborough Shoal. Military installations on this Shoal would allow China to control the Luzon Strait, a gateway to the Pacific and tremendously busy trade artery, therefore further consolidating its control over the SCS. The proximity of the Shoal to Manila would also allow China to monitor military installations and maneuvers on the Philippine islands, of particular interest as the US visiting forces begin to deploy. The primary concern is the expansion of China’s coast guard and maritime militias around the Shoal to erode the Philippine legal rights like fishing, maritime trade, and exploitation of natural resources in these waters. Establishing new facts on the ground will defeat Philippines’ legal standing. Continuous monitoring of China’s actions is required for validating these assumptions and in order to respond proactively to new security threats. Historically, airships have been used for both commercial and military activities, including ferrying passengers across the Atlantic, the American Civil War, bombing raids during World War I, polar exploration, advertisement campaigns, etc. The US Navy developed the airships USS Akron and USS Macon for ocean surveillance with the ability to launch and recover aircraft, dubbed flying aircraft carriers. Most of these airships crashed, but public interest truly faded with the Hindenburg disaster. The simultaneous advent of airplanes ferrying passengers far more efficiently across the oceans sealed their fate completely. 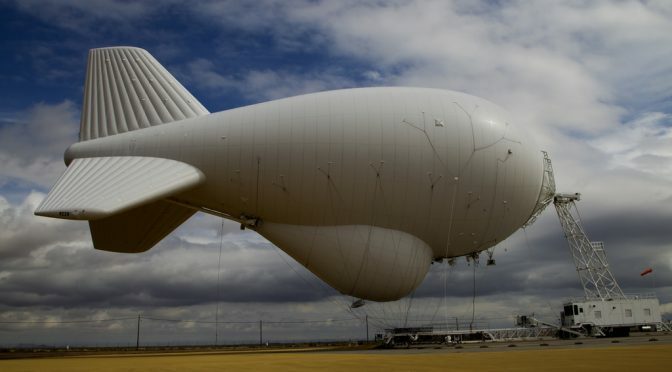 The US Army initiated a $2.8 billion project called the Joint Land Attack Cruise Missile Defense Elevated Netted Sensor System (JLENS) that uses a blimp-duo hovering about 10,000 feet and covering an area the size of Texas. One blimp is capable of providing high resolution 360 degree radar coverage while the other is used for focusing on specific targets including fixed or rotary-wing aircraft, cruise missiles, unmanned air vehicles, tactical ballistic missiles etc. JLENS is designed to connect to the nation’s air defense networks for faster response to incoming threats. Last October, one of the prototype JLENS blimps broke loose from the mooring station. Without the steering controls in place, the blimp dragged part of its tether across Pennsylvania causing power outages and damages to private property. Two F-16s were scrambled to monitor the movement of the blimp until it deflated and crashed into the trees. Already looked upon unfavorably for cost overruns, the US Congress awarded a mere $2.5 million instead of the $45 million sought by the Pentagon, a measure supposedly aimed at killing the program. Although details are yet to emerge regarding the size and observational scope of the blimp promised to the Philippines, this set of incidents and accidents points to knowledge gaps about the inherent risks of airships that contain highly inflammable gases and are prone to various atmospheric phenomena. Given this tenuous history of blimps, a loose one free floating over the SCS would invite further aggression from the PRC. It is in the interest of all parties to avoid such a situation. How can the US prove the blimp platform has been rigorously tested, despite Congress having killed the program? This is a critical question for the Philippines. 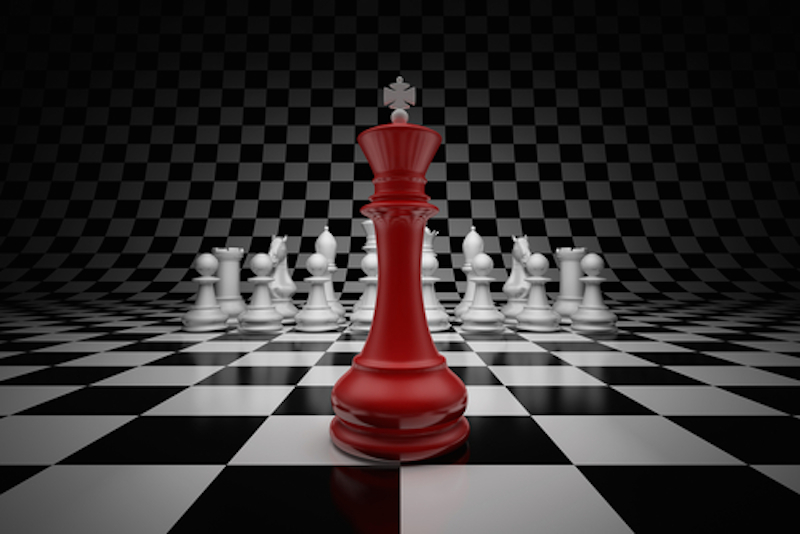 It may be wiser to avoid creating, even accidentally, another tense situation in an already contested environment. Therefore the Philippines should explore additional options to improve its maritime domain awareness and security. Such options include acquiring patrol boats and light aircraft that can not only provide the Philippines maritime domain awareness, but also enhance the security of its territory and possessions. Vidya Sagar Reddy is a researcher at the Observer Research Foundation, New Delhi. JLENS is a tethered, non-rigid balloon that is filled with a non-flammable helium mix and cannot be steered. This is an incredibly promising program and is far from dead. My guess is China is going to shoot down such an airship. China only deters if human lives are involved. Such airships are devoid of self defense and are pilotless will be targets for Chinese gunners to practice. Excuses may be like air space navigation hazards. I agree with Casey. There is an electronics survielance part of the JLENS which was driving the costs. The author seems not to understand what a tethered balloon is? The DOD could easiliy take the remaining parts of JLENS moor one over Manila and allow the PI to see most of what is happening in the SCS waters they claim. The only real issue is given the typhoons which come across the PI, it would HAVE to come down regularly and quickly. Asia-Pacific is the ring of natural disasters. My question is not exactly about costs but the assurance that blimp is fully under control. How assured is this if something that is supposed to work for DC cannot be controlled? If not, as Vincent said, it is highly probable China will shoot it down if they find a US manufactured surveillance airship floating in its “territorial” airspace. Know what chinese jets do to US surveillance planes over the SCS? Potential exists here for local level stand-off.